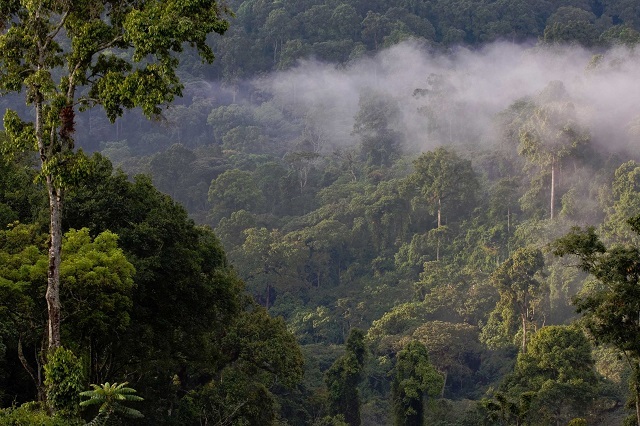 This is a true adventure expedition starting in the still widely unknown Western part of the Ethiopia, where not only the country’s the last rain forests are found but also the famous Coffee Arabica is said to have its origin. Few travellers would expect such lush vegetation in Ethiopia. 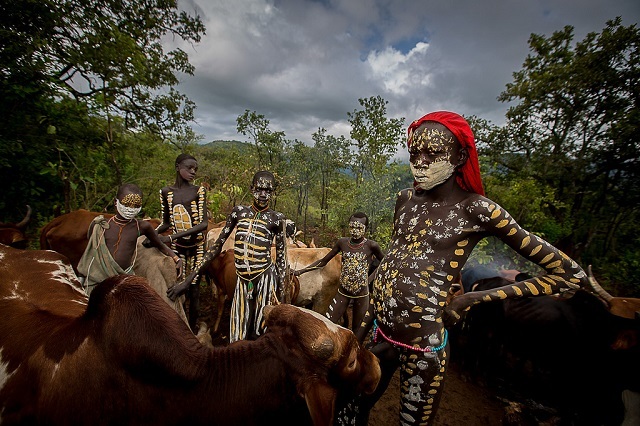 Travelling further into the Southwest, we will visit the tribe of the Surma people, still almost completely isolated. 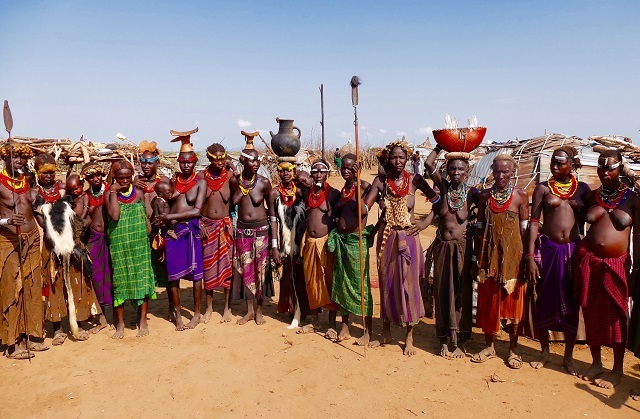 We then cross the Omo National Park to acquaint with many more of the fascinating tribes of the Omo valley. On our way back to Addis Ababa, we still have many more highlights ahead of us, such as meeting the Mursi tribe in the Mago National Park, the Konso region or Arba Minch to mention a few. Overnight: basic / middle-class hotels and lodges / camping in Kibisch Surma, optionally also in Turmi and/or Jinka. 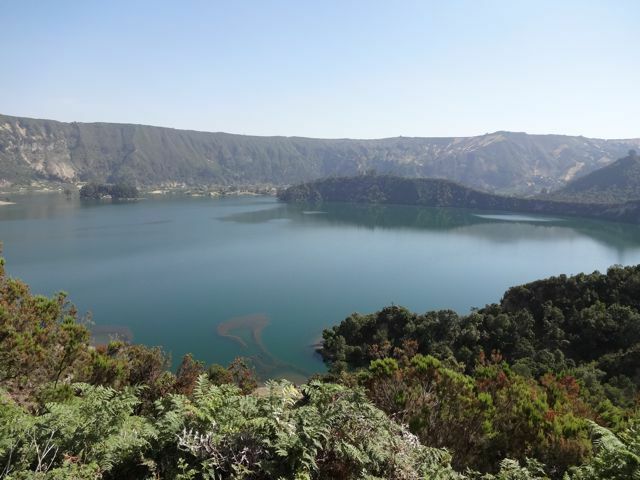 We start our journey from Addis Ababa westward to Wolliso, from where we reach Wenchi crater lake located towards the North in less than 2 hours. In Wenchi we undertake a pleasant trekking (optionally also on horseback) through stunning nature. From the rim of the crater we descent into a beautiful valley abundant with rivers. We may also cross the lake in a traditional boat. In the late afternoon, we return to Wolliso where we spend the night. Today we start with an excursion to the Alem Gonna wetlands. An early morning visit not only pays off because of the many bird species and De Brazza monkeys, but also because of the mystical atmosphere created by the landscape shrouded in mist. We walk through the wetland during sunrise and enjoy a freshly prepared breakfast picnic.After a short stop in Bonga, we will go on a short trek to the Barta waterfall (approx. 1h). 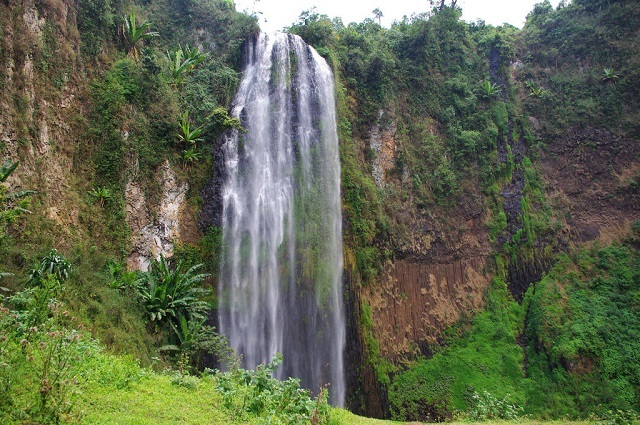 The waterfall is over 70m high surrounded by basalt walls in the middle of the rain forest. On our way back, we will stop at the house of Mirutse, a local bee-keeper producing here organic forest honey. He will give us some interesting information on bee-keeping and local plants.For those with plenty of energy left after lunch, we have an option of another interesting walk to some hot springs located in the middle of the rain forest (10 km walks back and forth). However, there are also less strenuous options in this incredibly diverse area. After breakfast, we continue our journey to Kibish. On the way, we will shortly stop at the Bebeka coffee plantation, where coffee, tea, spices and rubber trees are cultivated and we may learn about the local coffee production. Between riparian forests, grassland and bush savanna we are approaching the land of the Surma. The Surma are pastoralists, and the number of cattle they possess determines their everyday life in many ways. The tribe is also well-known for the plates used by their women, and their white ritual body painting and decorating scars. Today we will visit several villages of the Surma and gain some insight in their way of living and traditions. 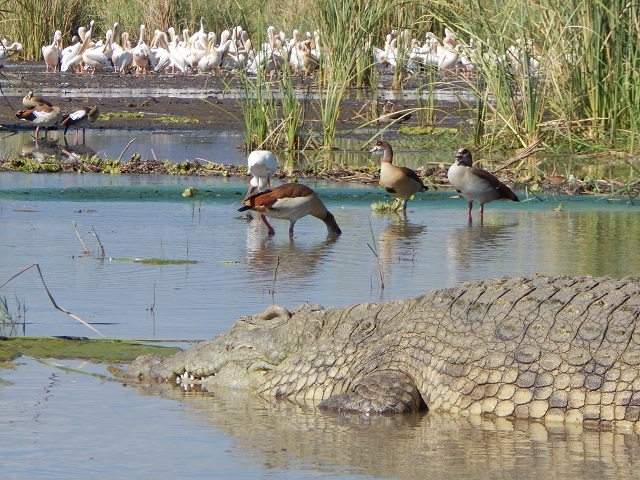 Since it can get very hot during the day, we undertake our visits either early in the morning or in the late afternoon. We may enjoy our time in between at the river, only five minutes from the camp. 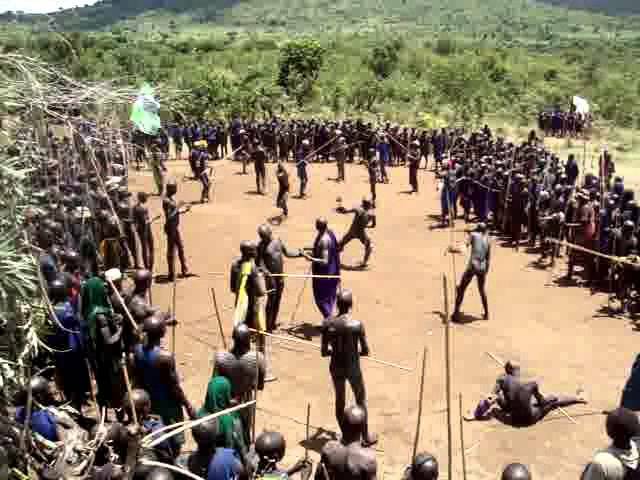 We also hope to become witnesses of ritual stick-fight (Donga). Donga fights often take place in September. Early in the morning, we depart and cross the Omo National Park with its fascinating flora- and fauna towards South. The park was founded in 1959 as Ethiopia’s first national park and has he the densest population of animals in the country. With a little luck we will spot buffalos, gazelles and even elephants. We should reach Omorate around noon. Here we will visit the Dassanech people famous for their nomad lifestyle and very interesting decorations and scarification on their bodies. We also enjoy great views of the Omo river while crossing in a dugout canoe. We then have 70 km left until Turmi, where we will reach in the late afternoon. 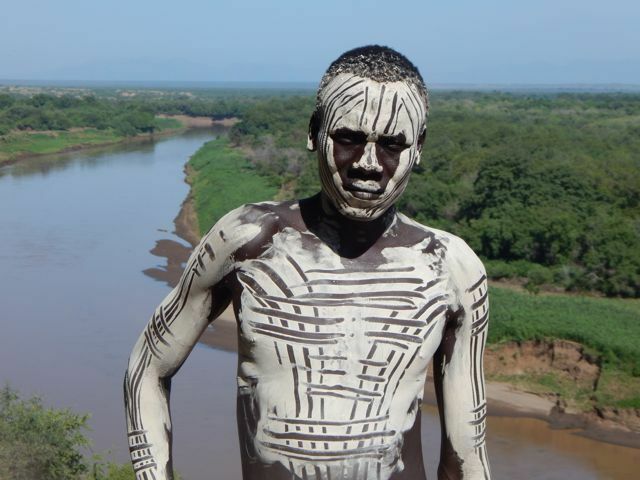 In the morning, we drive to the Karo village of Korcho (55 km), located on the banks of the Omo river. The Karo tribe comprises nowadays only approx. 3000 people. This ethnic group is amongst other famous for their extravagant hairstyles, their body scars and body painting with natural colours. The latter symbolising by its used pattern that a warrior has been brave when fighting an enemy or a wild animal. Also using chalk for their body painting is of common use among the Karo. Turmi is well known for its traditional events and with some luck we will even participate in a Hamer marriage ceremony, with its bull jumping ceremony and more! In the late afternoon, we will also visit a nearby Hamer village and encounter the tribe in its daily life surroundings. We may even witness a moonshine dance (Evangadi), a traditional dance of young Hamer men and women. After breakfast, we visit the colourful market in Dimeka near Turmi (Saturdays only), frequented by several tribes of the Omo valley. We then continue to Jinka where we will reach in the afternoon. 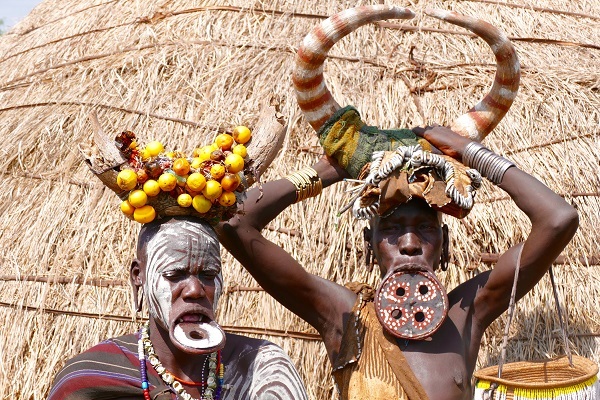 We enter the Mago National park and proceed to visit to the Mursi tribe and their villages (travelling time approx. 2hrs each way). The Mursi are certainly one of the most unique tribes in Africa. Here women use huge round lips plates for beauty reasons. After lunch, we continue our way to Konso (approx. 3.5 hrs.). 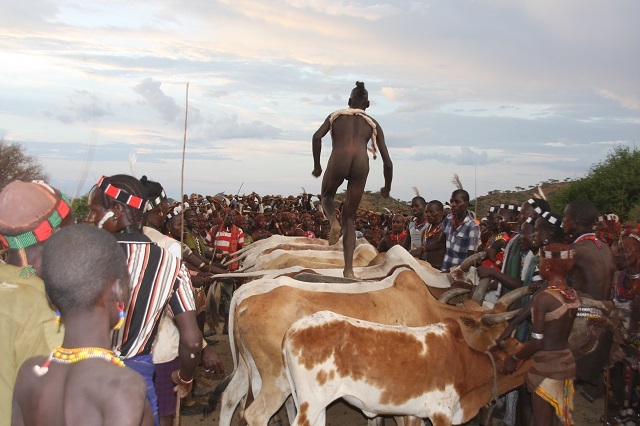 Konso is another UNESCO Cultural Heritage site. We will visit the village compound and the local museum, and usually we are also welcomed in the Konso chief’s compound, which includes the family graveyard and house mummies. The Konso people have a rich agrarian culture and construct ingenious terraces and walls that encircle their fields and villages for protection against livestock damage and flooding. We will visit Dorze people with some fantastic scenery, including the Wolayta farmlands, with views of the lush green hills and valleys. The Dorze village is found high in the Guge Mountains overlooking lake Abaya and Lake Chamo. After breakfast, we drive back to Addis Ababa (approx. 8 hrs), with a stop on the way at Tiya (80km from Addis Ababa) to explore the Stelae field of Tiya, listed as UNESCO world heritage site. Mysterious engraved stelae stretch across Southern Ethiopia. The field comprises 45 stones of up to 2-3m in height. 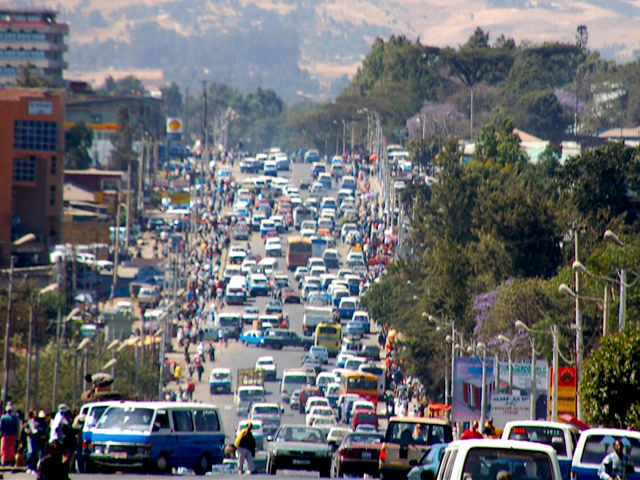 We then continue to Addis Ababa, where we will arrive in the late afternoon.